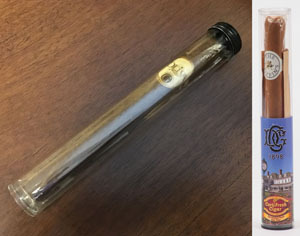 Cigar experts around the world have discovered that clear plastic cigar tubes with removable caps are the perfect solution to keep cigars fresh, protect them during shipping, and create a one-of-a-kind cigar display that stands out above the competition. Petro’s clear plastic cigar tubes help maintain a more consistent temperature and humidity for your cigar. Petro cigar tubes can be manufactured as regular sealed bottom tubes with a plug or slip-on cap to fit, or with one end threaded to accommodate a black metal or nickel-plated cap. Clear plastic cigar tubes are an economical alternative to aluminum or glass tubes. Custom diameters and lengths are available for cigars of every shape and size!